“Vinacapital in HCMC has also been assisting the Home (thanks to kiwi Brook Taylor) by having some of its staff work as volunteers in computer training for the girls. 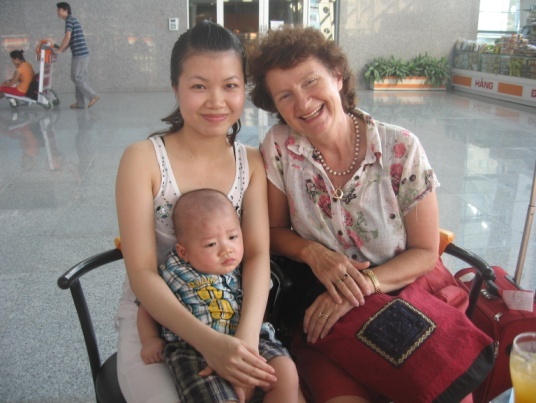 During the July school holidays another link with New Zealand was strengthened when Lorraine Andrewes from the St Andrews Early Childhood Centre in Epsom, Auckland, came to Ho Chi Minh City (at her own cost) and stayed for 2 weeks in the Home. Lorraine is a trained kindergarten teacher who was able to spend time teaching the girls art in their holidays as well as doing some great face painting and developing closer bonds with the girls, many of whom are in need of motherly contact. Lorraine has also organized a fundraising event at the kindergarten for the Home. 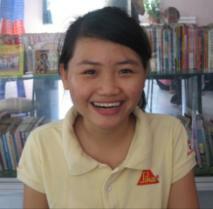 One of the kiwis in HCM City who has helped with selling books for the Home is Julia Parker. Now back in New Zealand in her new role as Futureintech Facilitator Julia has arranged for Naomi Shingler at St Dominic’s College to create a new website for the Home. This is long overdue, so we await her work with keen interest. More kiwi connections are emerging in other corners of the world. I was contacted by a former teacher at NZ’s ACG School in HCMC who is now teaching in Germany at the Bonn International School. She is keen for her students to be able to support the Ba Chieu Home through their Community and Service project, so has sent their donation through to WOCA. The New Zealand Associated Colleges Group HCMC campus has generously allowed the girls to use their swimming pool on Sundays to learn to swim for the past few years. This continues the New Zealand link with the Home, and several kiwis have also volunteered to give up their Sunday morning to supervise the swimming sessions. Many thanks to Ian King and his Vietnam staff for this very kind gesture; it is much appreciated. This year once again the New Zealand Chamber of Commerce organized the New Zealand Wine and Food Festival, the hottest event in town, which began in 2000 (when I was Trade Commissioner). Thanks to good organization, a superb event and generous sponsorship, the Chamber was able this year to make a significant donation to the Home, which could pay for maintenance on the house and provided new lockers for the girls, as well as contributing to operating costs. In a newsletter last year I included a photo of one of our earliest girls, Tram, who spent many years at the Home, as a beautiful bride. On my recent trip to Vietnam I passed through Danang where Tram now lives and was able to meet up with her and her beautiful new baby boy. When she left the Home with a good education Tram was able to get a good job in the jewellery department of a large department store in the centre of the City, and it was there that she met her husband to be. It is lovely to see her now happily married and starting a family of her own. It is always heartwarming for me to go back and see the Home running well and the girls thriving and happy, thanks to the generosity of you all – friends of the Home, donors and those who have bought the books and game which were produced to support the Home. Many thanks for your continued interest and support. 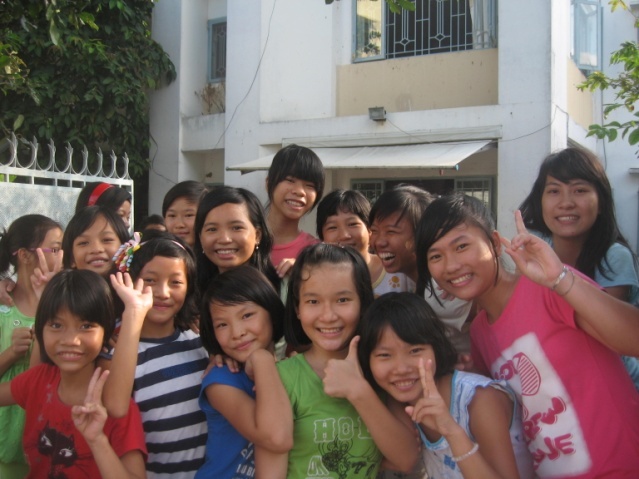 “The new girls are mostly 12 or 13, with one, Tuyen, only 7. 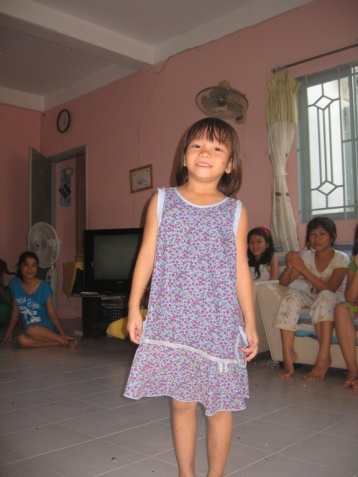 Tuyen is tiny but a bundle of energy. 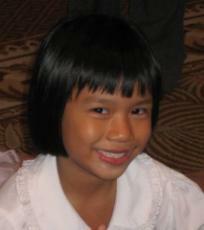 She has always lived with her grandmother who was moving around too much for Tuyen to go to school. She loves to sing and is looking forward to being able to start school in September. Lua (12) had a complicated family set-up and dropped out of school after Year 1 when her mother left, then worked looking after younger children and as a waitress in beer halls. Now in the Home she will be able to resume her schooling in Year 2. Dang (12) has been sleeping at night in the park on stone benches with her father and by day selling various wares in the backpackers’ area, so will now be able to start school in Year 1. Linh (12) has lived with foster parents who are tenant farmers but live too far away from a school for her to attend, so they brought her to the Home so that she could go to school. Kieu (12) was abandoned by her parents when they both divorced and remarried, then lived with her grandmother who sold lottery tickets on the streets. When she got too old to look after Kieu she brought her to the Home. Trinh (13) and Vy (13) have both come to the Home so that they can continue schooling which their families couldn’t provide, while Tram (13) has come as her father died and mother has a terminal illness with not long to live. That gives you a picture of who our girls are and why they come into the Home. While I was in Ho Chi Minh City I was pleased to be able to formalize a partnership with the HCMC based office of Fonterra. As part of their Corporate Social Responsibility programme they aim to focus on children and provide dairy nutrition. They have chosen Ba Chieu Home as a key partner to seek to build a long term relationship with, given its link with New Zealand and with their principles. The General Manager, Leon Clement, said his staff “were also impressed with the Home’s management and the dedicated people that work there”. This is all very good news! I organized an afternoon meeting between Leon, a dozen of Fonterra’s management team and Mrs Thanh, Vice President of the Women’s Charity Association which administers the Home, at the Home with all the girls there. Leon said in his speech he thought Fonterra shared the same values as the Home, in terms of nourishment, care and protection. The partnership will involve Fonterra donating UHT milk for the girls to have a glass each every day, and its staff getting to know the girls to look for other ways to assist. Staff raised funds which were used to give all the girls a new pair of shoes and new school uniforms to start the new academic year. Leon also hosted the girls at his home at a party to celebrate the Lunar New Year. (He commented that at the party the girls behaved remarkably well and showed great maturity in their contact with other guests, more so than many of the other children there.) This is a very promising initiative which should provide great long term benefit to the Home. I am happy to see New Zealand businesses working in Vietnam giving back by providing assistance to the Home”. From my students only Hanh (picture in the bottom) is still at the shelter; she is an accounting student now. I am happy to report to you following my visit to Vietnam last month. I met with the girls several times and they were in good spirits and enjoying their summer holidays. I attach a copy of this newsletter with photos if you would like to print it out, but have set the text out below. I also have available an updated list of all the girls, with a photo of each and a brief background about them, so please let me know if you would like me to email that to you also. Once again all the girls finished the academic year well and graduated up to the next class (in Vietnam they need to reach a certain level to be able to proceed to the next grade). That is quite an achievement, and reflects well on the way Ms Yen is managing the Home and coaching the girls. Hau (10) is continuing her interest in art and won 2nd prize in the district in the “Green Paint” competition. The girls also spend time in the computer room, and many are now on facebook with a group set up for their friends and supporters. The girls get up at 5.30 each morning, do exercises, chores to clean the house, wash their own clothes (the older ones helping the younger), have breakfast and are out to school before 7am. I recently heard of a survey of retired people as to what factor determined who had the most satisfaction in their lives: the key thing was having been used to working in their homes as children. So perhaps the girls from disadvantaged backgrounds in the Home will get more life satisfaction than our pampered western (and wealthy Vietnamese) children! There has been quite a bit of movement in the past year, with 8 girls moving out and 9 new girls. Of the girls leaving, Tien, Nga and Thao have returned to live with their grandmothers; Tien, Nguyen, Nga and Hong have left to go home and Loan has left to go to Nursing College. Loan has always dreamt of becoming a nurse, with strong Christian principles and a commitment to wanting to help sick people get better. She will make a wonderful nurse, and I was pleased we were able to provide some funding for her college fees to help her realize her dream. I have always told the girls to dream their dreams and we would help them make it happen. So it is very satisfying to see one of the girls who has been in the Home since soon after it began when she was 7 now coming through at 21 and able to train in the vocation to which she has aspired. Two of the other older girls, Thuy and Tien, both aged 20, have now finished 2 years of study at a technical college in Go Vap specializing in economics and accounting, and both now have jobs, Thuy in a bank and Tien as an accountant, so they are able to support themselves and have left the Home”. It’s been two years since I met the girls in Ho Chi Minh. 5 out of 6 girls I was teaching Sugar left the shelter. One day I’ll visit them again. Vo Thi Thuy (1992) came from Thua Thien Hue. Her father abandoned her when she was little and her mother was disabled and sold lottery tickets in a wheel chair. Thuy has just finished her final year 12 with average grade. 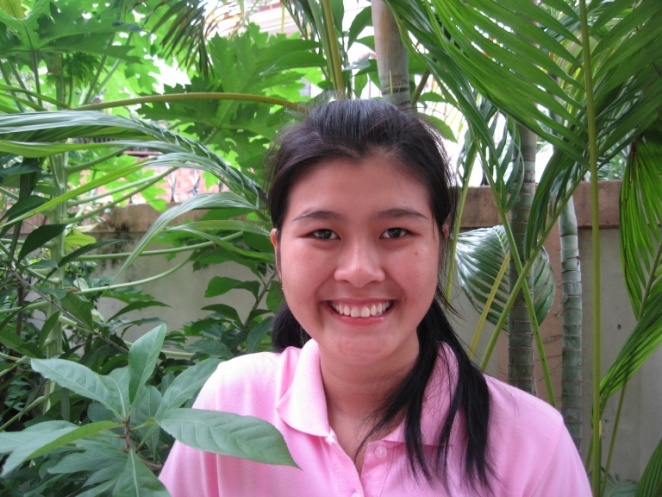 She is about to start studying economics at a technical college in Go Vap for four years. 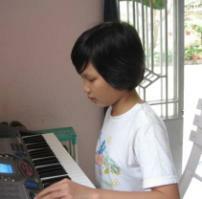 Nguyen Thi Kim Hau (2002) likes to sing and draw. Hau has no father and her mother died of Aids. She was found under a bridge over a canal in district 1. After her first year in the Home Hau finished Class 1 passing with excellent and in June 2010 she graduated from Class 2 also with excellent. She enjoys maths. Nguyen Thi Tien (1992) is Ha’s big sister. She comes from Quang Binh. Her father was an alcoholic who couldn’t work and regularly beat them, so her mother and the children escaped and came to Saigon to find work as servants, but had nowhere to live. Tien has just finished Class 12 with average grade. She is studying accounting. Nguyen Thi Kim Loan (1992) has no father and her mother sells lottery tickets. She likes to listen to music and watch tv. Loan has been in the Home since soon after it began 13 years ago. She finished Class 11 in 2009 with average grade and graduated from Class 12, the last year of school, in 2010 with above average. Now she wants to be a nurse and will go to nursing school for 2 years in district 4 (4 million dong fee). She has Christian principles and is committed to wanting to help sick people get better. She will make a wonderful nurse. 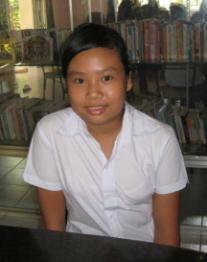 Nguyen Thi Thu Ha (1998) is 12 and finished Class 4 with excellent grade in 2009 and Class 5 also with excellent in 2010. Ha was abandoned by her father, her mother works as a cleaner in a restaurant. Her sister is handicapped. She likes to play the piano and sing and enjoys maths. 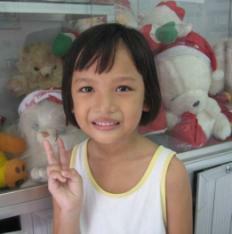 Tran Thi Ngoc Oanh, nickname Tien, is now 10. (On arrival she was said to have been born in 2000.) She has no father and was abandoned by her mother. Her grandmother was too poor to take care of her. She likes to draw. She’s a real character, always laughing and mischievous. She wants to be a kindergarten teacher. Tien finished Class 2 with above average grade in 2009 and Class 3 also with above average in 2010. She enjoys maths. 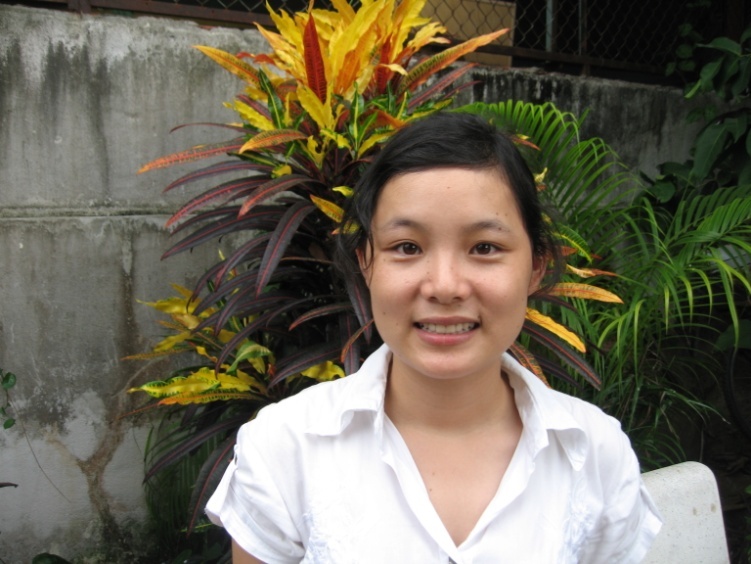 Nguyen Thi Bang Phuong (2002) was abandoned by her father who is a Swede, and her mother was very poor. She came to the Home in February 2008. She finished Class 1 with above average grade in 2009 and passed Class 2 with excellent this year. For those, who don’t know much about this shelter read my earlier posts (Jan-Apr 2010). All girls sleep in one room on bunk beds, they cook and clean themselves. They wear donated clothers. They go to school and support each other. If any of you want to be pen pals with the girls (must be in Vietnamese), they would appreciate it. It is hard to replace a real family but kind words will help them to grow in life and become mature individuals. If you are interested in learning more about the shelter and want to help the girls have education, food and clothing, feel free to contact Celia at celia@primenz.com or just leave your comment to this blog post and we will contact you. Ho Thi Hoang Anh (1995) is 15. 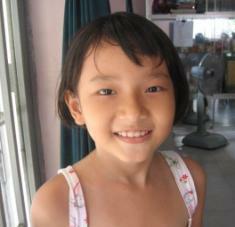 She is an orphan who was begging at the Saigon train station before coming to Ba Chieu Home. Her father was from Hong Kong, and went back there. Her mother died of breast cancer in 2000. 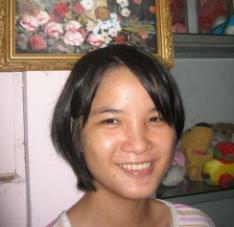 Hoang Anh came to the home in 2002. She finished Class 6 with above average in 2009 and wants to be a kindergarten teacher. (She also wanted to be a teacher 2 years ago.) In 2010 she finished Class 7 also with above average grade. She likes sewing. 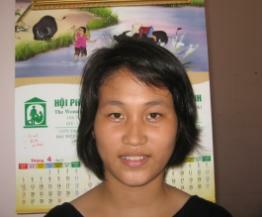 Nguyen Thi Huong (1993) is now 17. She was abandoned by her father, her mother works but is too poor to look after her. She finished Class 7 with above average grade in 2009 and Class 8 also above average in 2010. Huong likes cooking. She wanted to work in finance and banking when she grows up but is now favouring cooking (chicken with ginger is her favourite dish). Ho Thi May Hanh (1990) is 20. She was abandoned by her mother, so her father looked after her and they earned their living by collecting rubbish. She has been in the home for 8 years since 2002. She has always liked to cook, and gave me the recipe for Bun bo Hue. 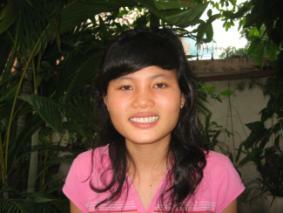 She finished Class 9 (end of Junior High School) in 2009 with above average grade and Class 10 with excellent. She is now going on to study at a City School for 4 years from which she should graduate with 2 certificates, one in accounting and the other a high school certificate. and wants to be a hairdresser when she grows up. Pham Thi Mai Thao (February 1997) is 13. She came from Ben Tre. Her family migrated to Ho ChiMinh City to find work as servants and were transient with no home. Thao has just finished Class 7 with excellent. She enjoys literature. 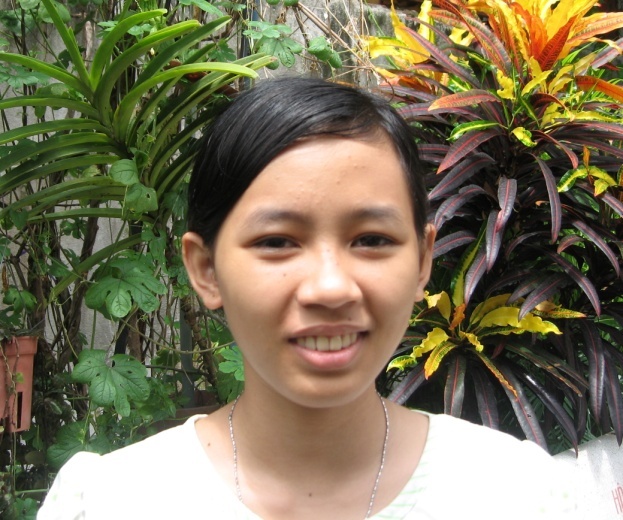 Phan Thi Huong (1994) is 16. She’s finished Class 8 with average in 2009 and Class 9 also with average in 2010. She will now leave school and start a 2 year course in hospitality learning the restaurant trade. She wants to work in a restaurant. She left the Home to go back to her family. So there we were, at Harvard Square Au Bon Pain, surrounded by chess players, Harvard students, lazy stroller, bums and street performers. Both Rabi and Nancie had Xos with them. We sat down at a table facing the street and engaged in a long conversation about OLPC, technology and life choices. Rabi said they were very idealistic and naïve when they started OLE Nepal three years ago. They had no funding, but they believed that as long as they are doing good work and can show great results, they will get funding and eventually support from the government. They had a good team and were lucky to interest first sponsor the Danish Embassy in Nepal. Later, there were more sponsors, including Food for education group. The program is giving kids food so that they come to school to study, and if their attendance reaches 75%,parents get a liter of cooking oil every month. Richard and Rabi asked, what if these kids go to school for food at first, but in the future they will come to school for education? OLENepal’s annual budget in year one and two was 400,000USD. Phase One from April 2008 to March 2009 (Nepali school year) was testing. They started with 2 schools grades 2 and 6 and 135 OLPC laptops. In Phase Two from April 2009 to March 2010 the pilot was expanded to 26 schools and 2,000 XOs (2,000 more is coming). Not as big yet as Uruguay (350,000 XOs) or Peru (40-50,000 XOs), but big enough to go nation-wide. I already mentioned OLENepal earlier on my blog. Sunday was a beautiful day in Boston. Nancie and I were lucky to meet Rabi Karmacharya, Executive Director from the Open Learning Experience Nepal. Rabi went to MIT, where he received his B.Sc. and M.E. in Electrical Engineering and Computer Science. Then he worked as a design engineer for 3Com in CA for three years before he returned to Nepal. He co-founded a software company HimalayanTechies, and seven years later he met Brian Berry through a running club and they together started OLE Nepal in 2007. Both Nancie and I were interested to meet Rabi, because he is running such a successful OLPC deployment and just returned from Hanoi, where he attended the OpenCourseware consortium meeting on May 5-7, and met with Serge, who is contributing to the OLPC Vietnam project. “Right now, I’m mostly involved in the Squeak/Smalltalk community and I know very well the people behind Squeak EToys. EToys to control robots. I have also made a seminar in Hanoi some months ago about Etoys&Dynabook vision: http://www.slideshare.net/SergeStinckwich/an-instrument-whose-music-is-ideas-2036947“. 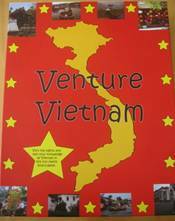 Serge has put a Google group together for OLPC Vietnam. He is visiting Vung Vieng village right now and will report his observations and suggestions to other OLPC Vietnam members during an upcoming meeting on June 5. 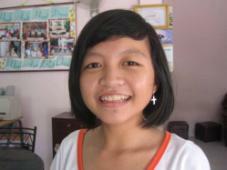 Finally OLPC grassroots’ movement is taking off in Vietnam, thanks to Nancie, the OLPC pioneer in that far-away country. Hurrah!